Original equipment manufacturers (OEMs) make the wheels go round for the business world. But demand for faster, cheaper, and smarter products and components put major downward pressure on profit margins. Successful OEMs are always on the lookout for opportunities to drive down costs and differentiate their brands and the rise of the Internet of Things (IoT) offers a golden opportunity to do so by embracing fundamental supply chain transformation. To get a better understanding of the benefits, best practices, and current state of play in supply chain transformation, we enlisted The Economist Intelligence Unit to survey 250 senior executives at OEMs in North America, Europe, and Asia-Pacific. Our learnings from those conversations drove insights for the basis of the new study, Putting customers at the center of the supply chain. Here are some of the intriguing highlights. According to the study, 99 percent of OEMs believe supply chain transformation is important to meet their organizations’ strategic objectives. The vast majority, 97 percent, consider cloud technology to be an essential component of that transformation, which makes sense given that cloud offers the unprecedented ability to collect and analyze data at scale. To date, just 61 percent have embraced cloud across their organization—meaning that for many, cloud remains an obvious and notable opportunity. Beyond cloud, IoT presents a significant opportunity for OEMs. IoT is the fundamental technology underpinning smart products and components, like embedded sensors that monitor performance, or telemetry systems on connected vehicles. IoT-enabled products and components can effectively extend the supply chain to include the customer, enabling the delivery of software updates directly, while providing ongoing access to data about how offerings are being used. This adds supply-chain complexity but also delivers significant new business opportunities. 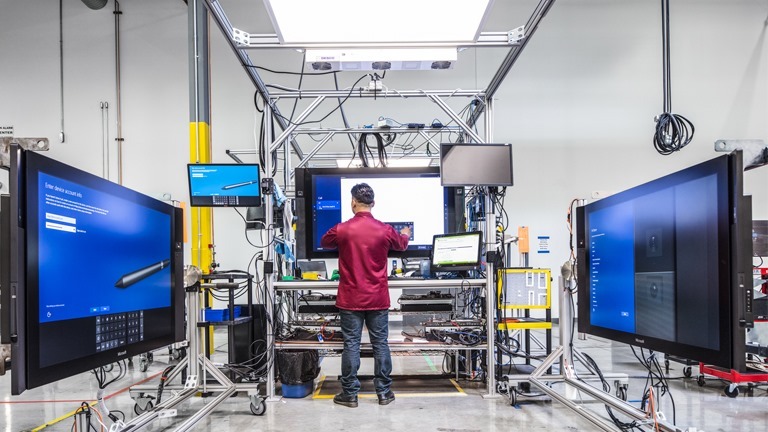 This extension of the supply chain gives OEMs the ability to get a far deeper understanding of customer behaviors and needs and to better serve customers via add-on services based on that deeper understanding. To optimize the value of the customer data they collect, some are even embracing entirely new business models. Armed with real, data-based insights into exactly how and when their products are being used, OEMs can become service providers, and shift from selling products to customers to charging them subscription or per-use fees. Rolls-Royce, for example, charges a monthly fee for customers of its jet engines that is based on flying hours. Industrial machinery makers like Sandvik Coromant are also now charging customers based on use. Other emerging technologies that OEMs are turning to for assistance in transforming supply chains include robotics that generate valuable data while performing tasks like product assembly and order picking faster and with greater accuracy than humans, artificial intelligence (AI) that’s used in smart products for things like predictive maintenance, and blockchain which enables supply-chain stakeholders to share an immutably accurate record of deliveries. These technologies can supercharge the collection, management, analysis, and security of supply-chain data. And like IoT, they can drive the creation of brand new ways of doing business. In a world where a growing number of things around us collect data about us, forward-thinking OEMs are increasingly embracing fundamental changes in their supply chains. With the goal of achieving operational excellence informed by a closed feedback loop with the customer, OEMs can deliver better service and products by better understanding and anticipating exactly what customers want and need. To achieve this vision, they’re turning to technologies like cloud, IoT, AI, robotics, and blockchain. Learn more about the specific steps and approaches being taken in the full Economist report.